Anyway, I put my stuff in the car and I took my seat. 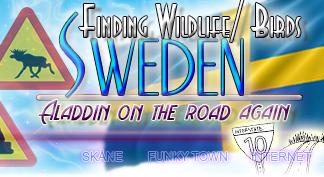 I “popped” open a MAX and I took off to Lamburträsk to see if I can see any birds. 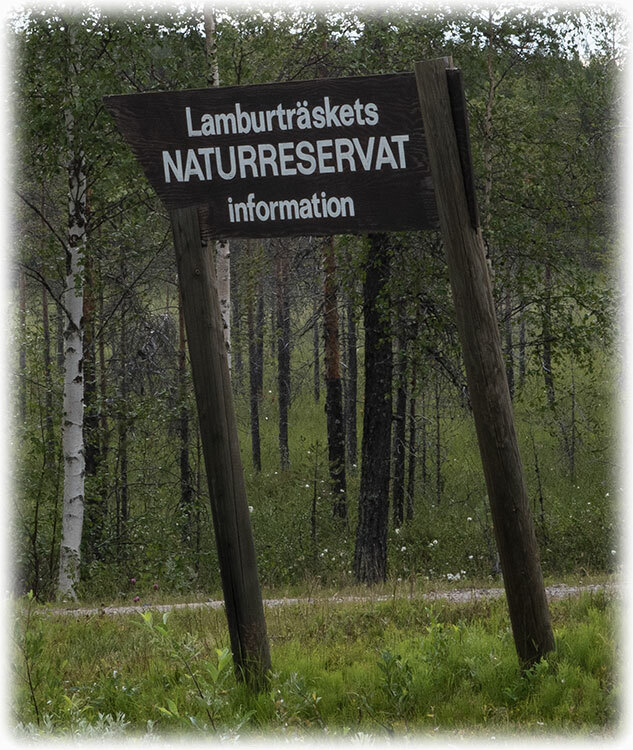 I park the car and I start walk down to Lamburträsk. There is a fence so I have to turn around. 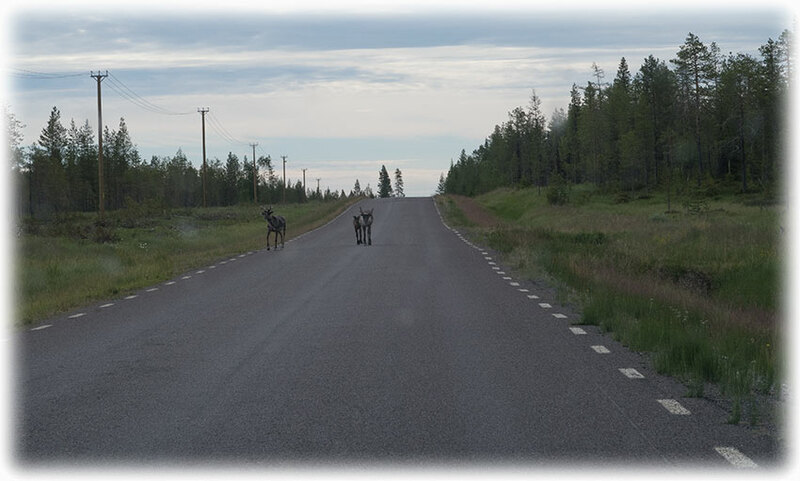 Anyway, I could not see many birds so I went back to the car and I left Lamburträsk and Arvidsjaur behind. 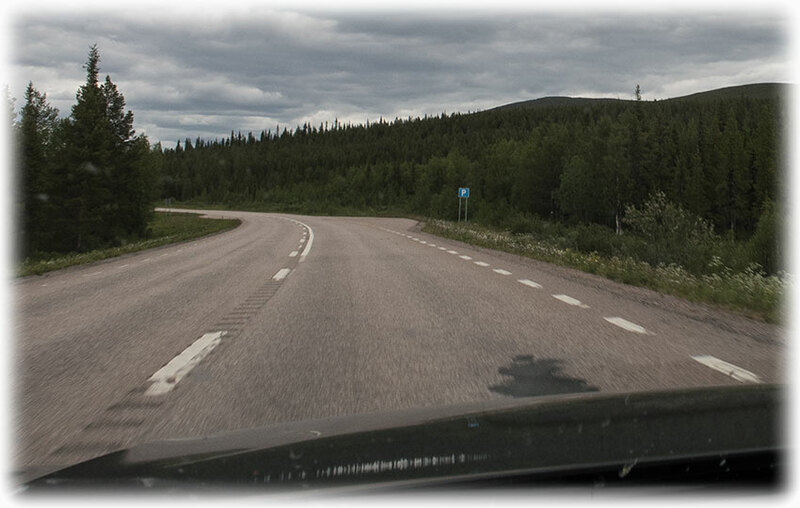 I had been on the way for not very long when I reached Piteälven. There was a parking and a small walking bridge across the river so I stopped to have a look. I never saw any birds, but it was a nice area and many people on the road stopped here to have a rest and to have a look around. No birds around, and when I'm thinking about it, not many birds since I left Skåne. But the birds are way after up here and I think most of the birds are busy with eggs and young ones. 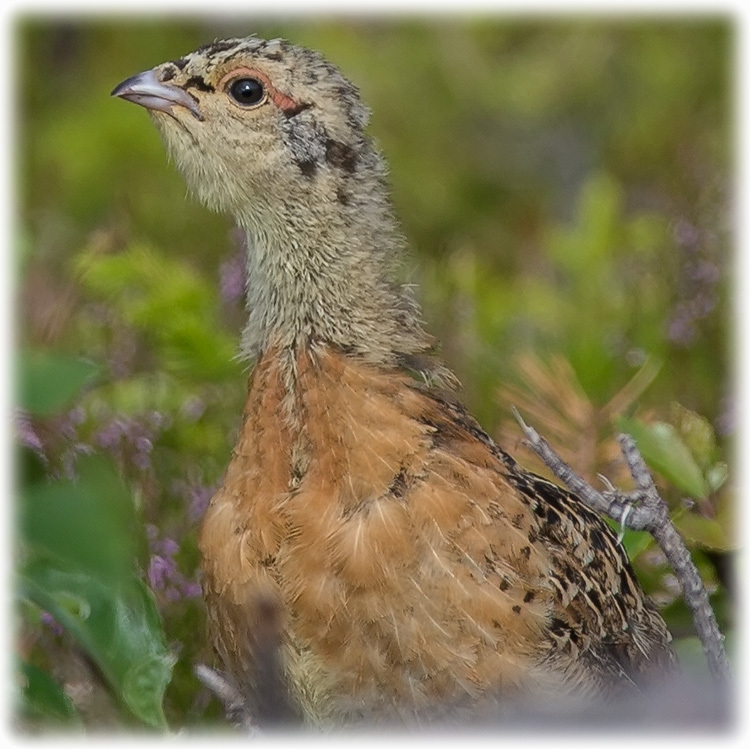 The young ones are flying already down south in Skåne and up here it will be another few weeks. 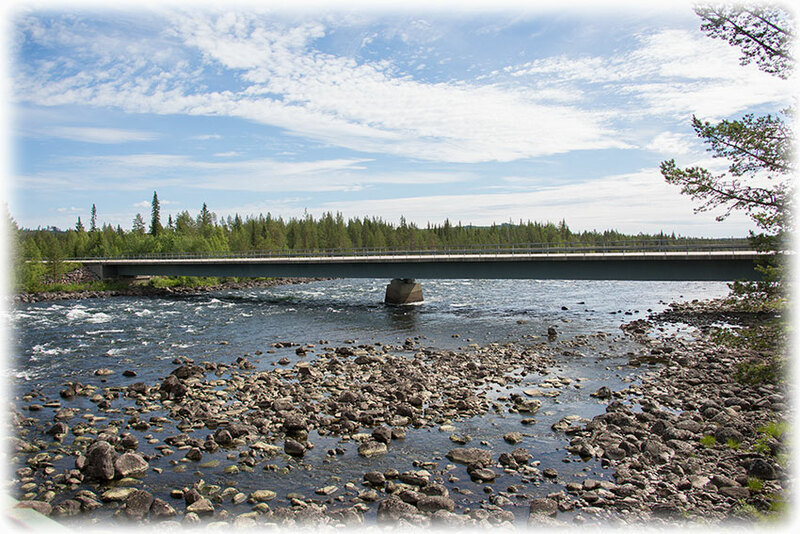 The Pite River (Piteälven, Pite älv or Piteå älv in Swedish) is a river in northern Sweden, flowing through the Norrbotten County. 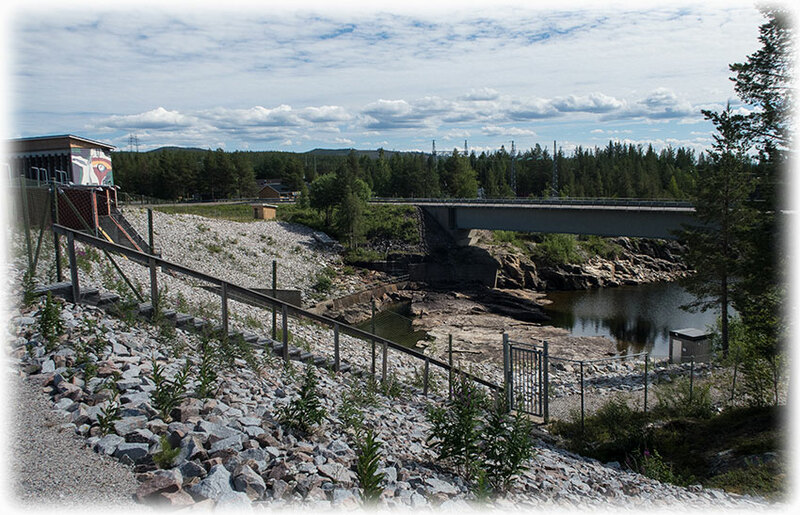 It is one of the four major rivers in Norrland that have been left mostly untouched by water power plants, the river has a single dam at Sikfors approximately 15 km upstream from the sea. 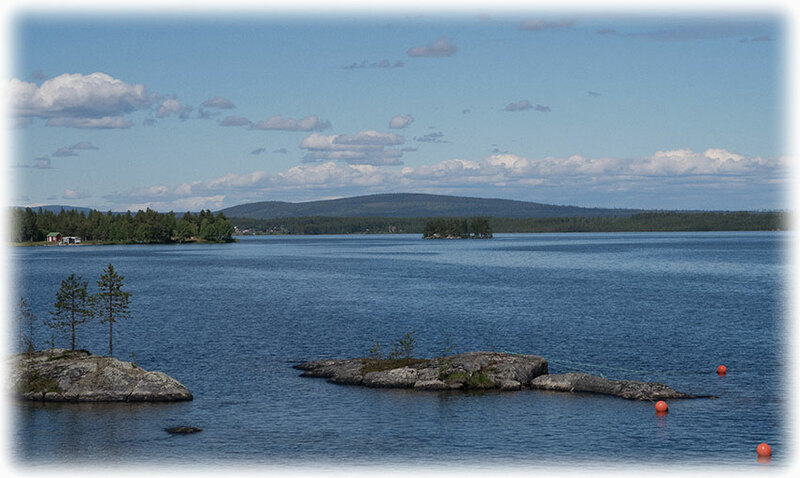 It starts in the large lakes in eastern Sweden, such as Tjeggelvas, Vuolvojaure and Labbas, in Jokkmokk Municipality, and flows to the east coast, discharging in the Gulf of Bothnia, in the Piteå Municipality. It has a length of 400 kilometers, covering an area of 11,200 km². 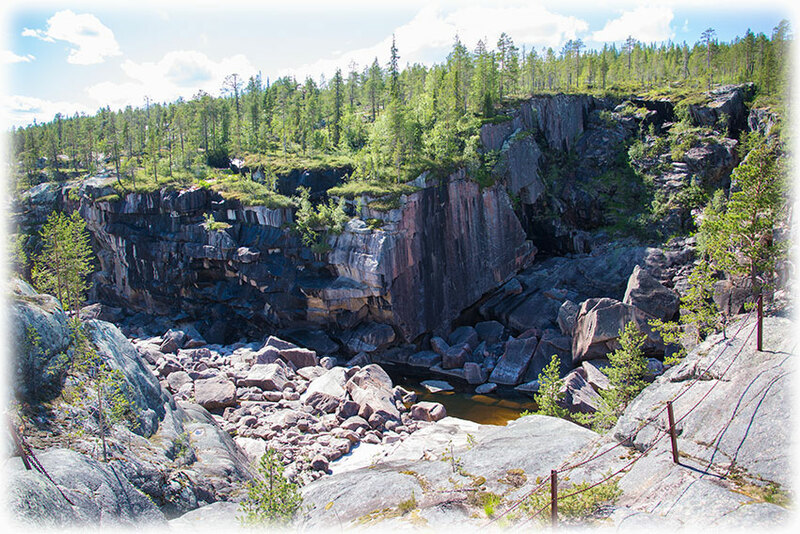 Its largest waterfall is Storforsen, which has also become the most popular place to visit in Norrbotten. 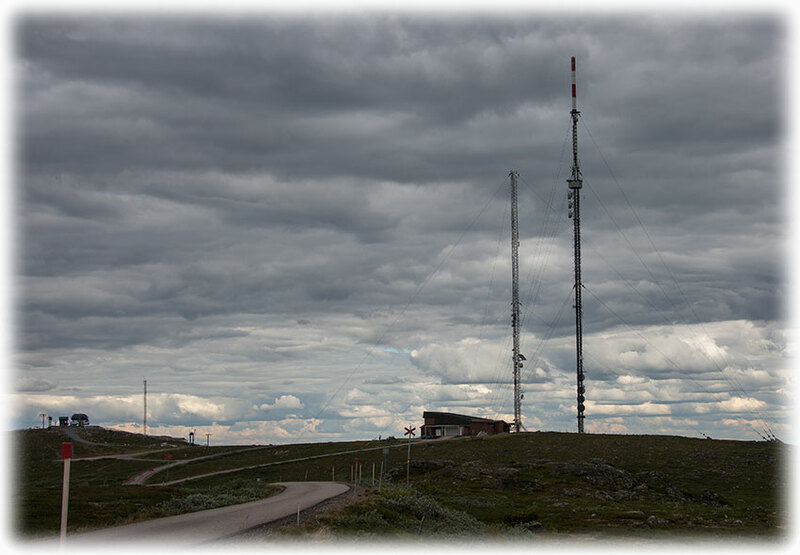 It is located in Älvsbyn Municipality. 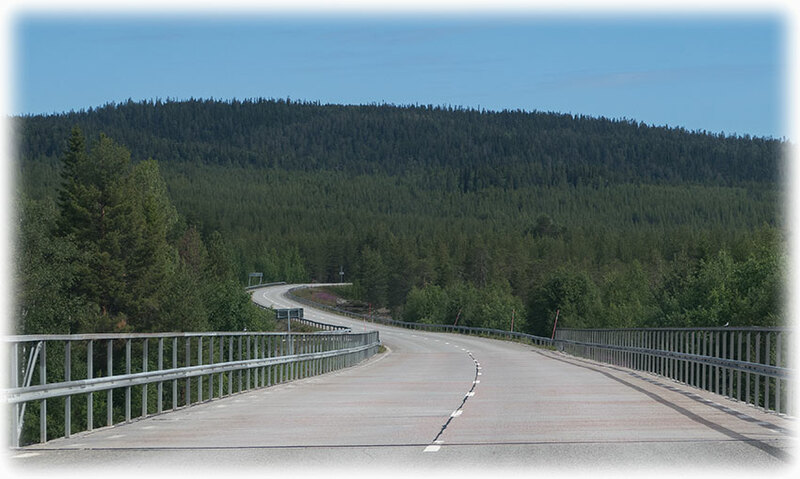 I was soon in the car again and I crossed the bridge to the north side of Piteälven. 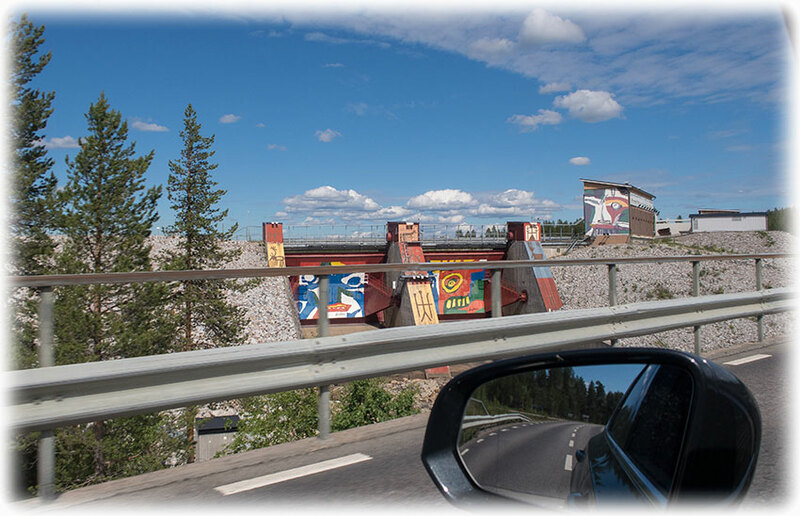 Driving along the highway and it was pretty much the same sights as it have been since I left Östersund. Forest for as long as I could see. I was driving behind a truck that was braking suddenly. I guessed that he was braking for some animal as the driver was driving very slowly. 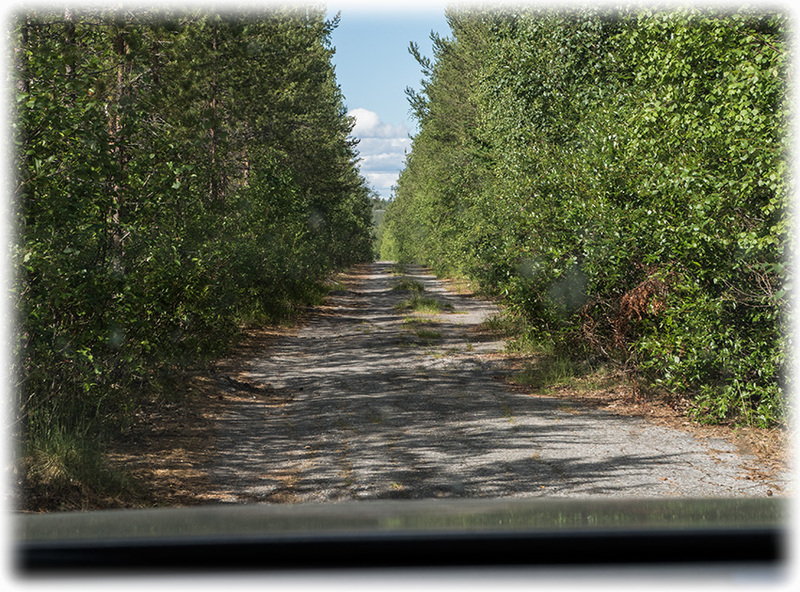 And I discovered a Western Capercaillie running over the road. She stood on the road side and I stood on the brakes. Put the car in to reverse and when I was back at the bird she stood in the grass so I could never get a picture of the full bird. I reach Jookmook and I drive around the village trying to find some birds. I stop on a small road and I make a few recordings of some birds, but I cannot get any pictures. This was a little disappointing. I hope I have better luck at Dundret. My next stop for bird watching. 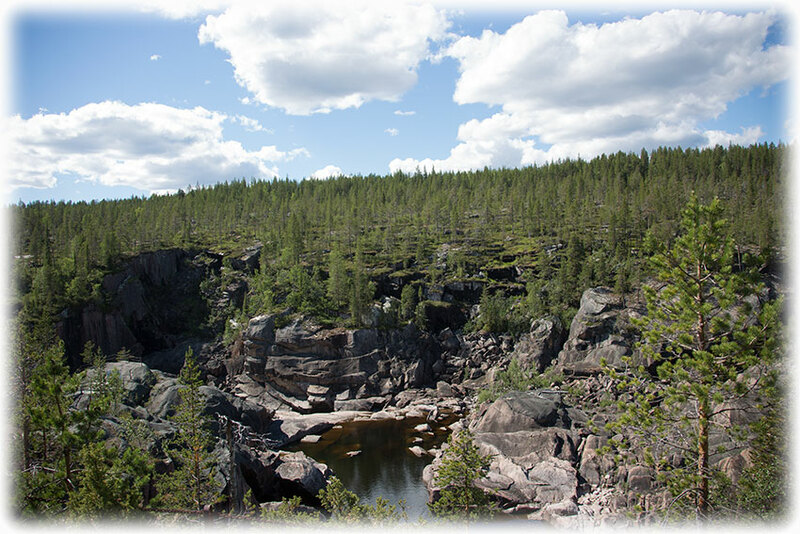 The Lesser Lule River (Swedish: Lilla Luleälven) is a tributary of the Lule River in north Norrland, in Norrbotten County, Sweden. 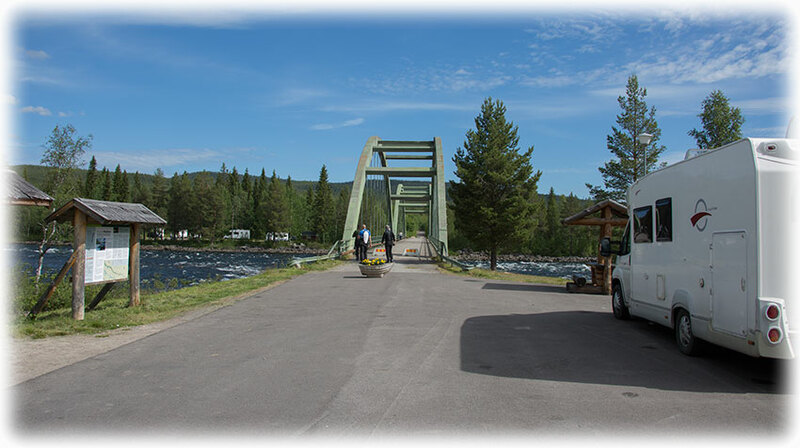 The river, which is entirely within the municipality of Jokkmokk, is 238 km long, with a drainage basin of approximately 9800 km². 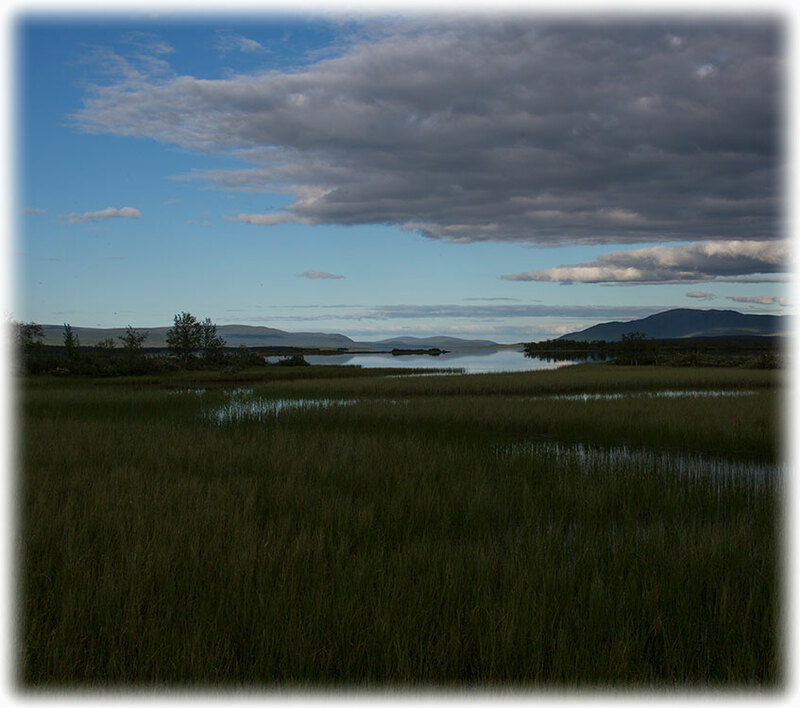 The longest tributary of the Lesser Lule River is called Tarrajåkkå and it originates in the southern part of Sarek Fell. 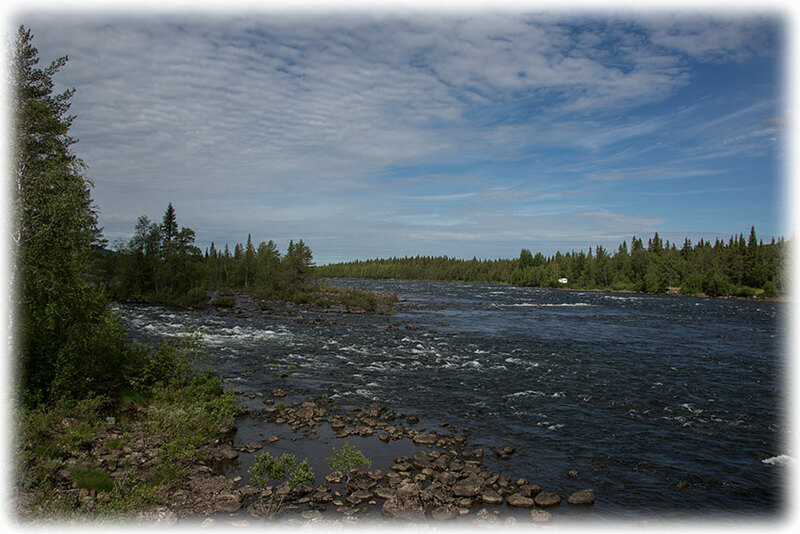 The river flows southeast, passing Lakes Saggat (302 amsl), Skalka (295 amsl) and Randi (284 amsl) before it reaches Jokkmokk. 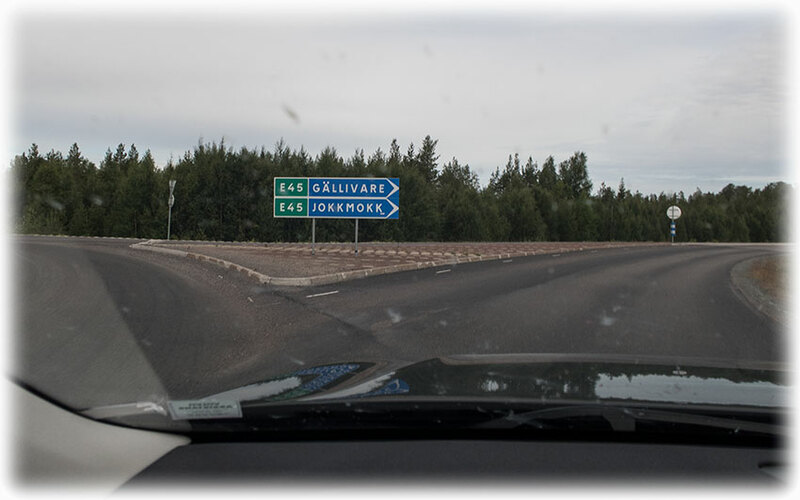 After Jokkmokk, it flows towards Vuollerim where it joins the Greater Lule River. 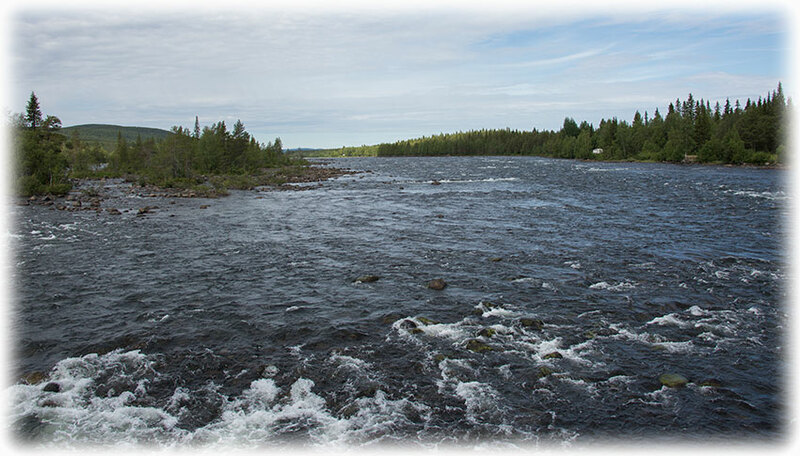 The river’s largest tributaries are the Rapa (Lule Sami: Rapaätno, Swedish: Rapaälven) and Pärl Rivers. The waterflow of the Lesser Lule River is regulated. 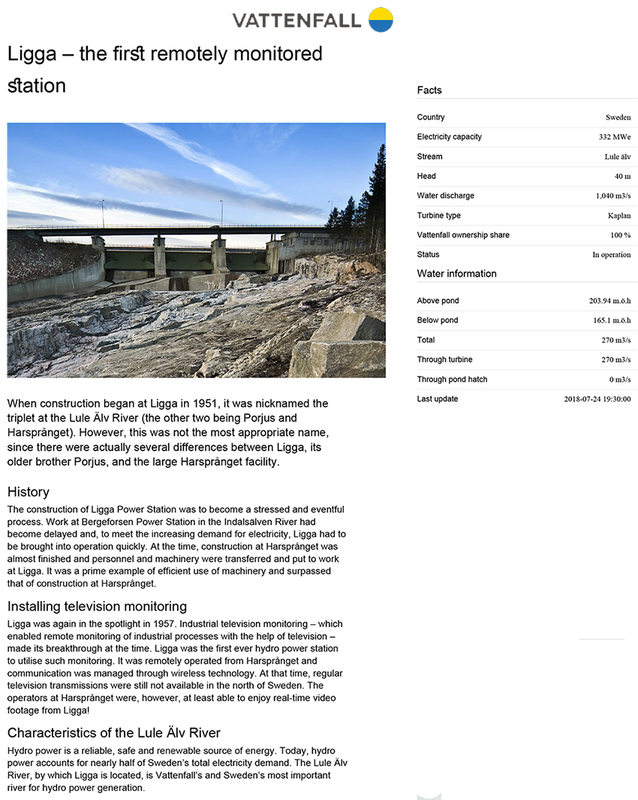 The Lesser Lule River has several hydro-electric power stations on it. All of the station are owned by Vattenfall AB. 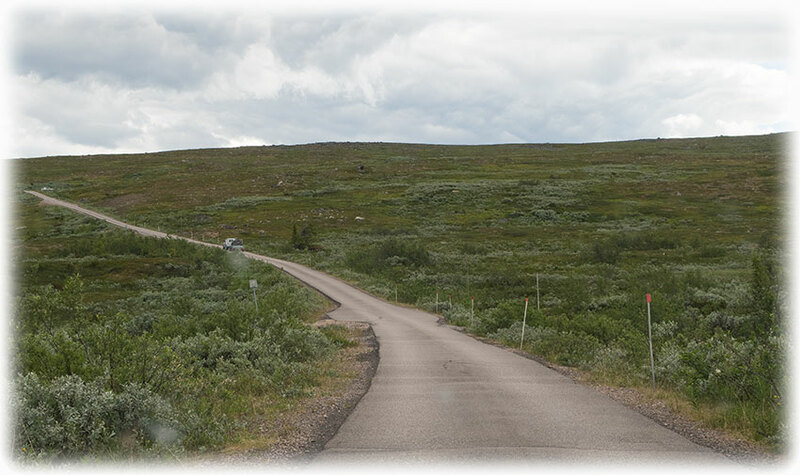 These plants have cut off the traditional migratory routes followed by the Sámi in the area, causing some of the reindeer herders to have to truck the animals between the summer and winter camps. The reason I stopped at Akkats Power Plant was because there was a parking sign and a sign saying art work. 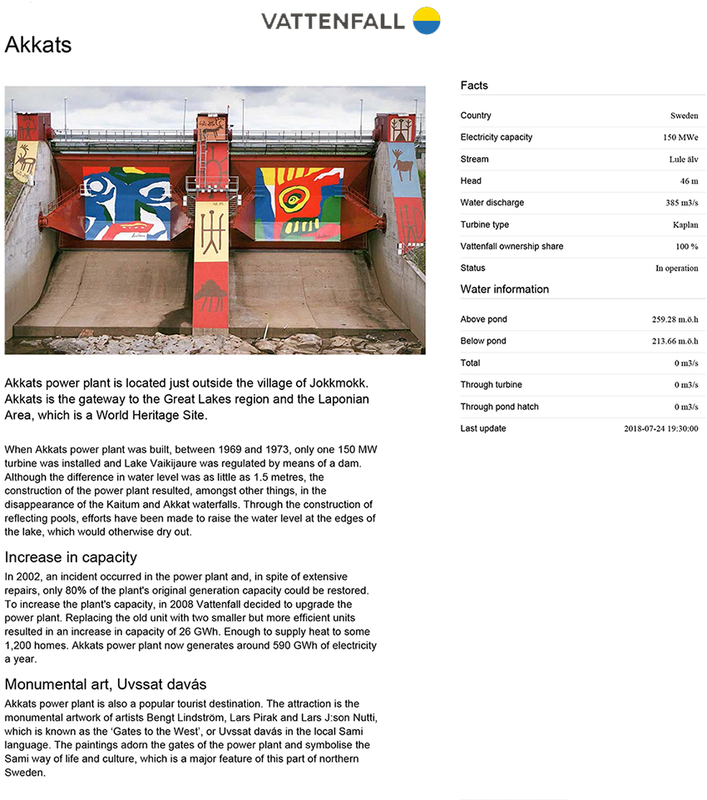 I realised that the art was the paintings on the power plant and it was not accessible, only seen from then passing on the highway bridge. I left Akkats and I drove slowly across the bridge trying to get some pictures. 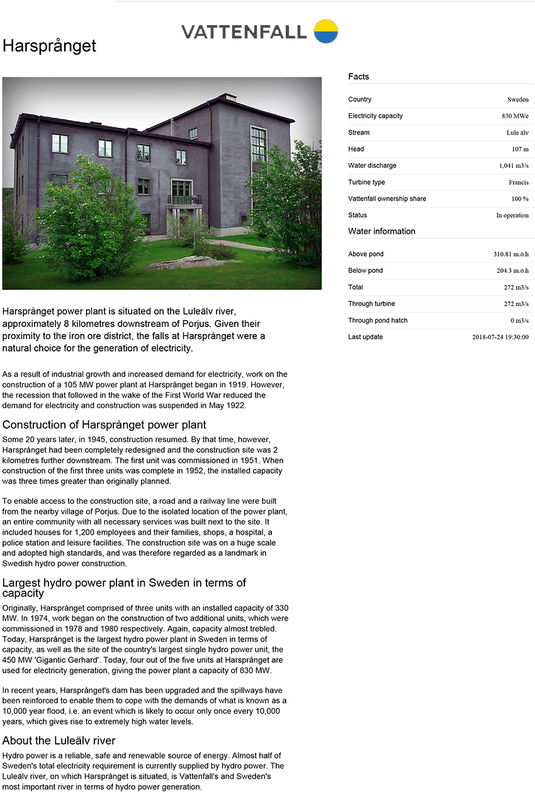 I was soon passing yet another power plant, Ligga Power Plant at the Lule Älv River. Here was no place to stop and have a look, what a disappointment. I had expected there to be at least a parking area so I could go to have a look. Lule River (Swedish: Lule älv, Luleälven) is a major river in Sweden, rising in northern Sweden and flowing southeast for 460 km before reaching the Gulf of Bothnia at Luleå. 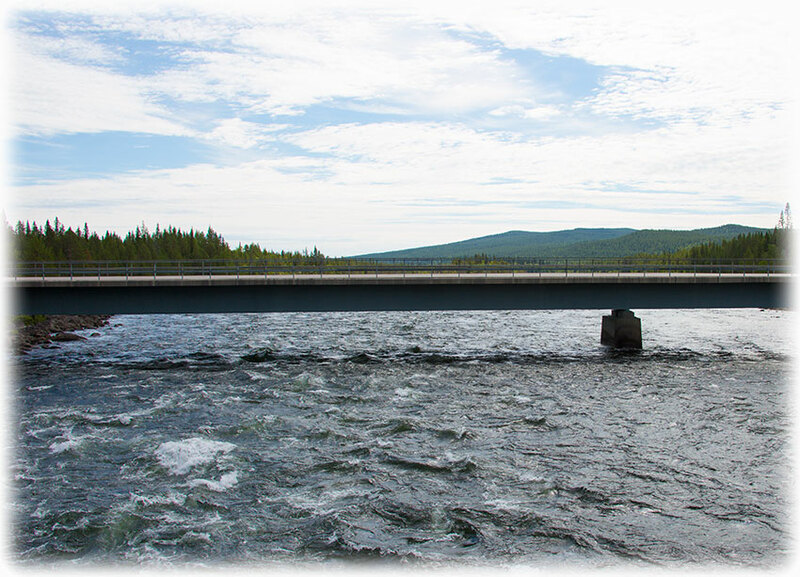 It is the second longest river by watershed area or length in Norrbotten County (after the Torne River and very slightly ahead of the Kalix River, which is 460.65 km long), but is the largest by average discharge. 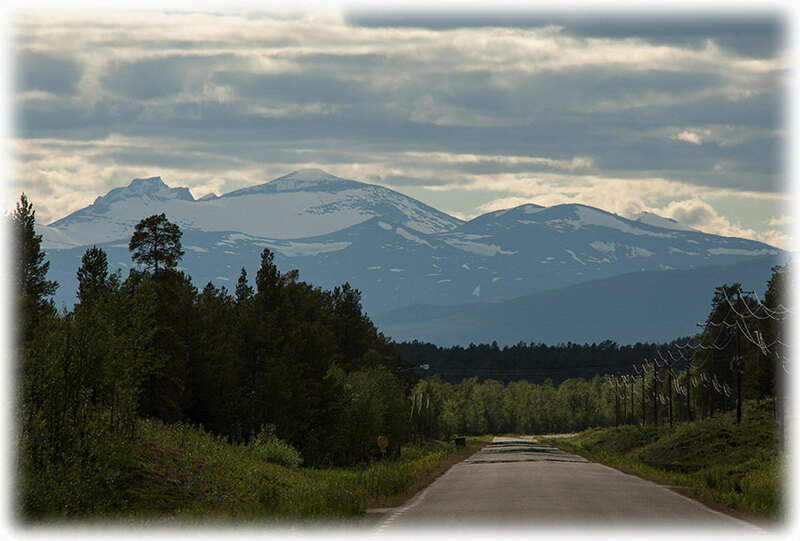 It has a watershed of 25,240.5 km² of which 24,545.6 km² is in Sweden and 694.9 km² in Norway. 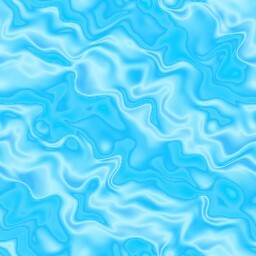 The river is an important source of hydroelectric energy, with major hydroelectric plants at e.g. 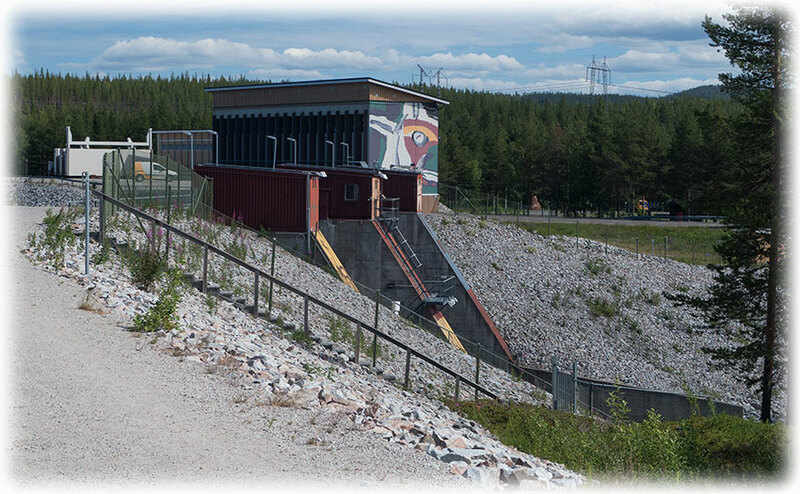 Porjus and the 977 MW Harsprånget, commissioned in 1952 and expanded in 1983 to become Sweden's largest hydro power station. The river was used extensively for the transportation of timber, with logs floated downstream for processing at Luleå, but this stopped in the early 1980s. 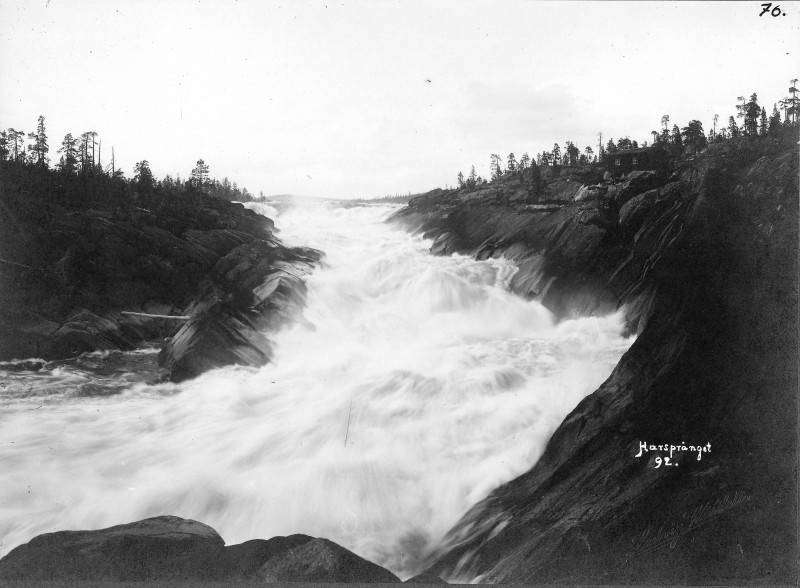 Several major rapids exist along the river's length, notably the Stora Falls and those at Porjus and Harsprånget. During the 19th and 20th centuries, the river was designated as a defensive line against a dreaded invasion by Imperial Russia and subsequently the Soviet Union. Extensive fortifications exist along the entire length of the river, culminating in Bodens Fortress in and around the city of Boden. Most of these fortifications and bunkers are no longer in use today. 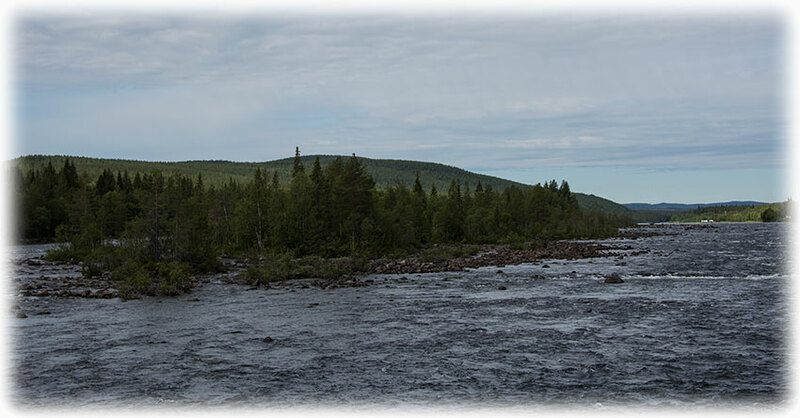 The Greater Lule River (Big Lule River) arguably begins somewhere near Sårjåsjaure in the mountains west of Gällivare. 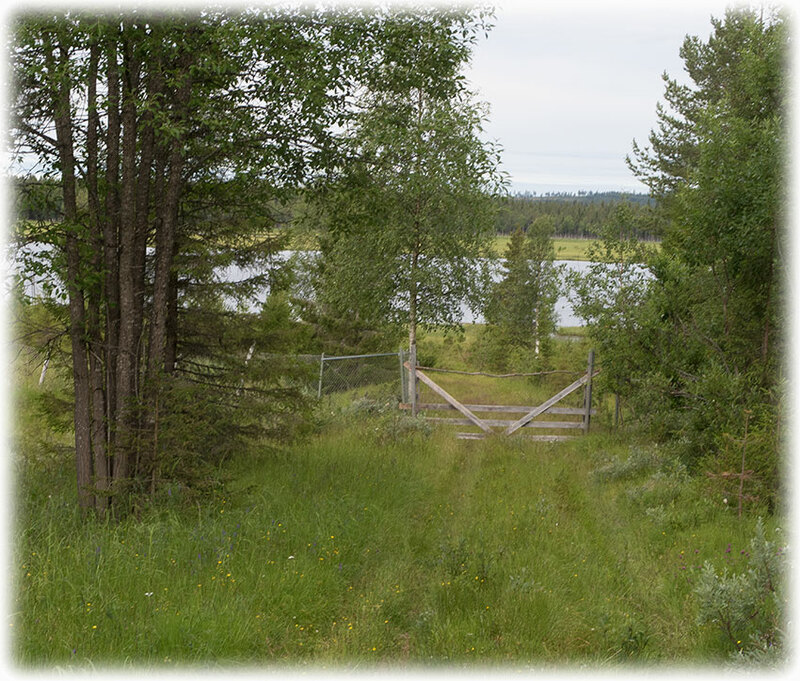 The water flows to the Virihaure lake, which also collects water from Kerkevare (via Kettaurejokk) and Alkajaure (via Millätno). 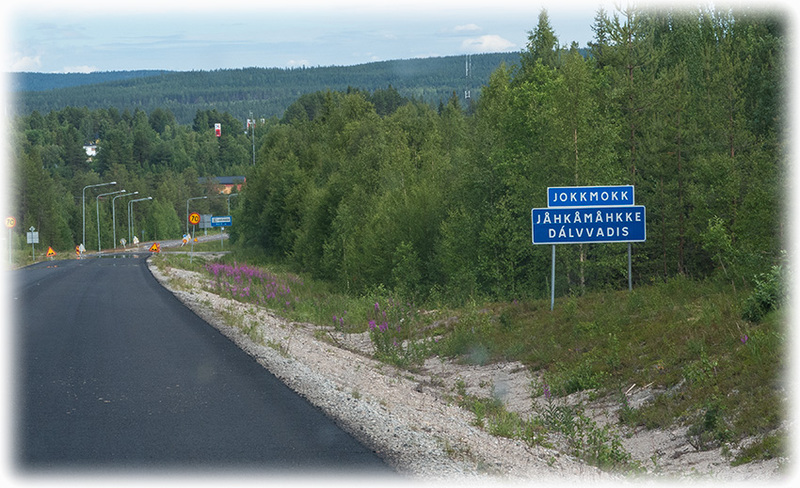 The Tukejokk joins the Lule as well in Virihaure. Leaving Virihaure to the north, the river reaches the Vastenjaure Lake after losing 32m over 2.2 km. 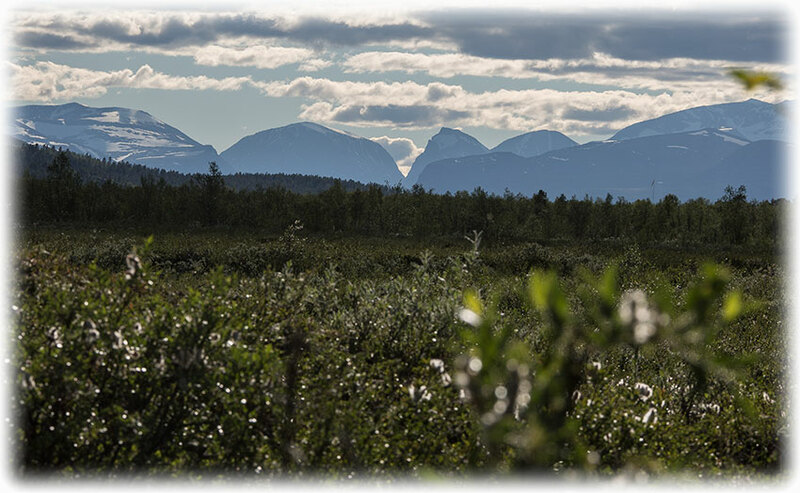 It then flows via the Vuojatätno to lake Kutjaure and then Luoktanjarkajaure, collecting a lot of water from other lakes in Sarek National Park, like Salohaure, and from the Swedish-Norwegian border. There are numerous waterfalls and rapids in the river. 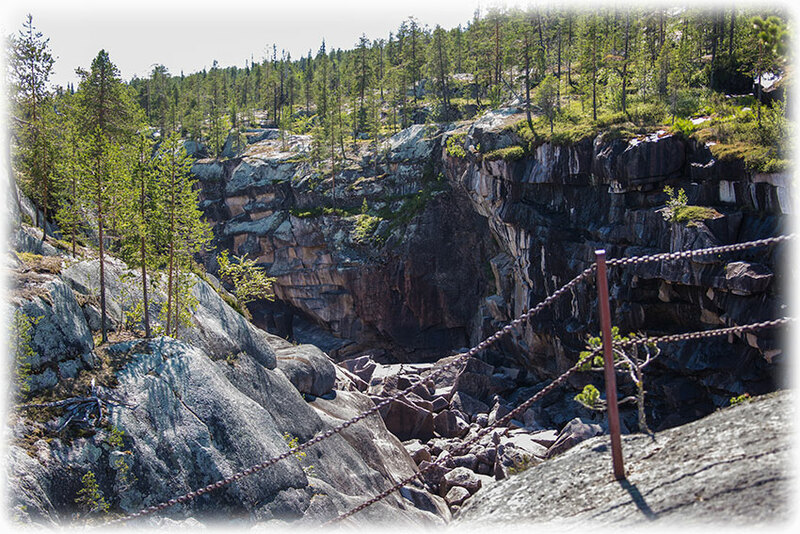 The best known is Stora Sjöfallet at the end of the Akkajaure lake, where the water falls 39.6 m from Kårtjejaure to Langasjaure. In this lake the Vietasajokk joins the Lule. The Stora Lule träsk is the largest of the lakes in the river. Here it reaches the forest, and after the lake is joined by the Muddus River from Muddus National Park. At 75m, near the village of Vuollerim, the river joins with the Lesser Lule River. The Lule passes the Porsiforsen (25m over 2 km), Edefors and Hedens fors. It flows into the Baltic Sea through the Bälingefjärden and Lulefjärden. Other rivers in the watershed of the Lule with a length of more than 100 km are: Black River (Sweden), Flarkån, Lesser Lule River, Pärl River, Rissajåkkå, Vietasätno, and Bodträskån. I pass the power plant and I drive on the straight road next to the Ligga man-made dam for the power plant. I spot a bird of prey and I drive back trying to get a picture, but the bird is gone. So I turn around and I continue towards Dundret. 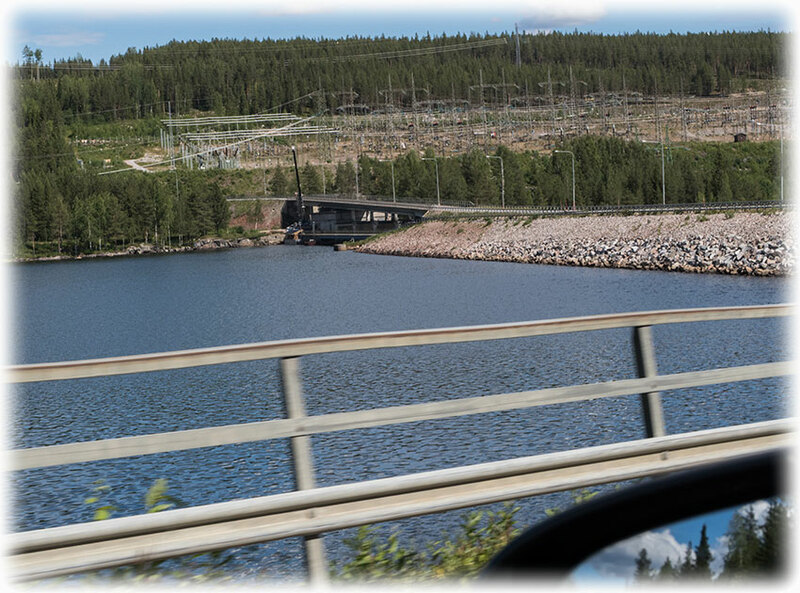 I put the dam behind and I drive next to a, well, let's call it a gorge for Luleälven/ Lule River and it was very annoying, no, it was making me angry that they had not made a parking or something along the river so I could have stop the car to go have a look at the river. noun 1 a narrow valley between hills or mountains, typically with steep rocky walls and a stream running through it. [no OBJ.] eat a large amount greedily; fill oneself with food: the river comes alive during March when fish gorge on caddis | we used to go to all the little restaurants there and gorge ourselves. Middle English (as a verb): from Old French gorger, from gorge ‘throat’, based on Latin gurges ‘whirlpool’. The noun originally meant throat and is from Old French gorge; sense 1 dates from the mid 18th cent. 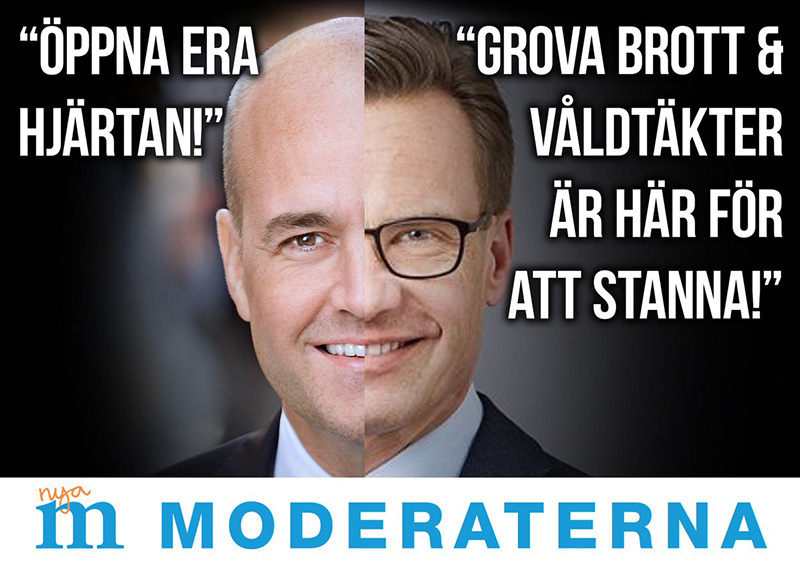 turning to the left. And it was only a small opening in the tress and a sign for “rest place” so I decided to go check it out. I might be able to at least see the waterfall even if I missed the gorge. I come in to a parking place and I can see the dam from there, not a good view. But there is a walk path to a viewing platform, a few hundred meters walk and they had built stairs and bridges so you could go out in the middle of the river. A little disappointing that it was dry after months without any rain. The river was almost completely dry but if I'm here I will have to go have a look. So I left the car behind to go explore the area by foot. I didn't regret that I had gone through the trouble to get out on the viewing platform. It was interesting to see Harsprångsfallet even though it was dry as a bone. I had a look around and I walked back to the car. 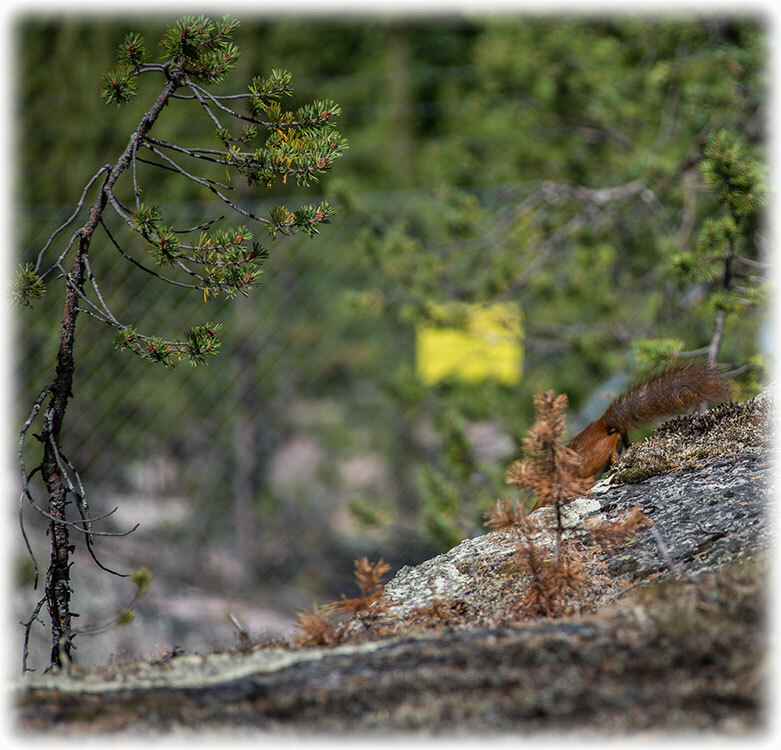 I spotted a squirrel and I chased the squirrel trying to get a picture, needless to say, I failed. 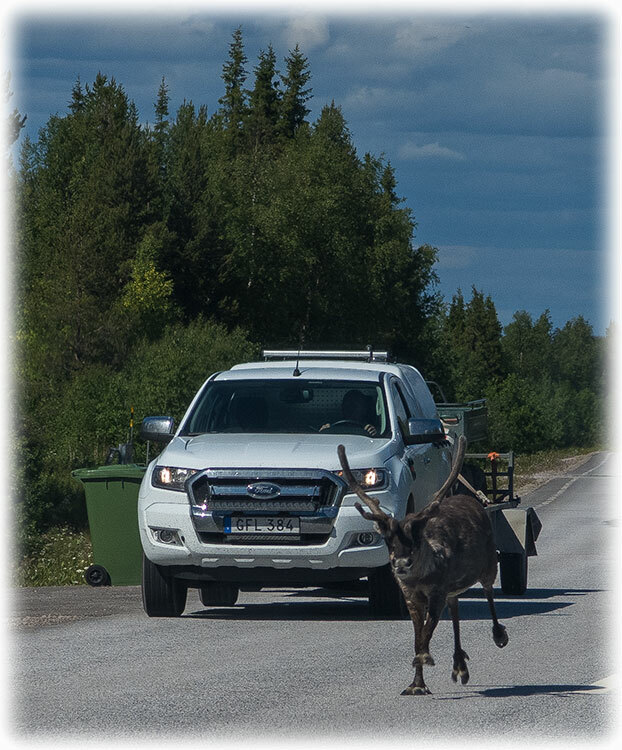 Back on the road and I was soon running in to more reindeers. Now I had seen many of them, still not many enough to make it boring. 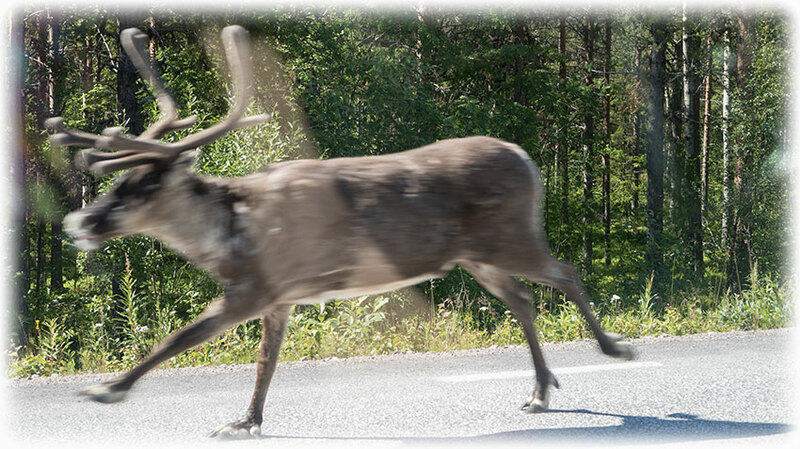 Still exciting to see the reindeers along the roads. My next stop it Dundret but I missed the small exit from the road that would have taken me up on the top. I ended up at Dundret ski resort and I had to stop and consult my map. I drove back and I found the small road going to the top. Is this Kebnekaise in the horizon? 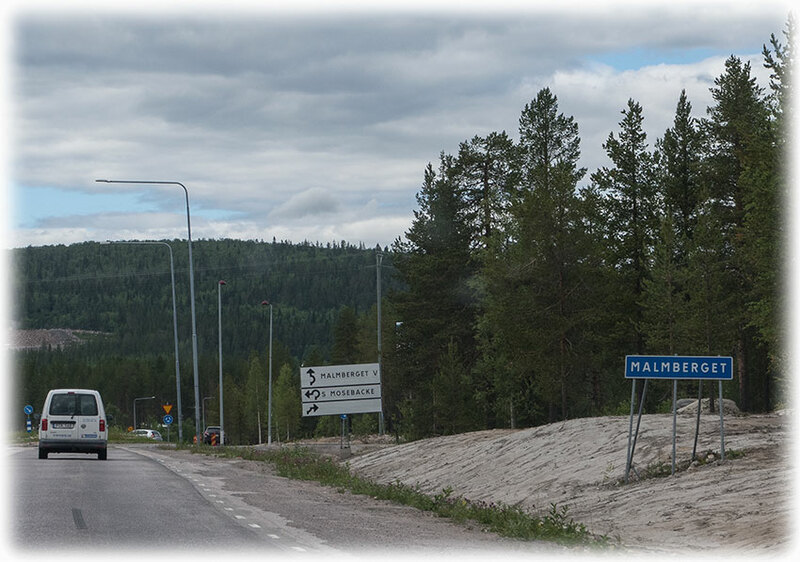 Malmberget ("The Ore Mountain", Finnish and Meänkieli: Malmivaara) is a locality and mining town situated in Gällivare Municipality, Norrbotten County, Sweden with 5,590 inhabitants in 2010. 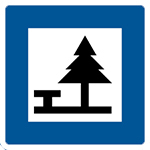 It is situated 5 kilometres from the municipal seat Gällivare. 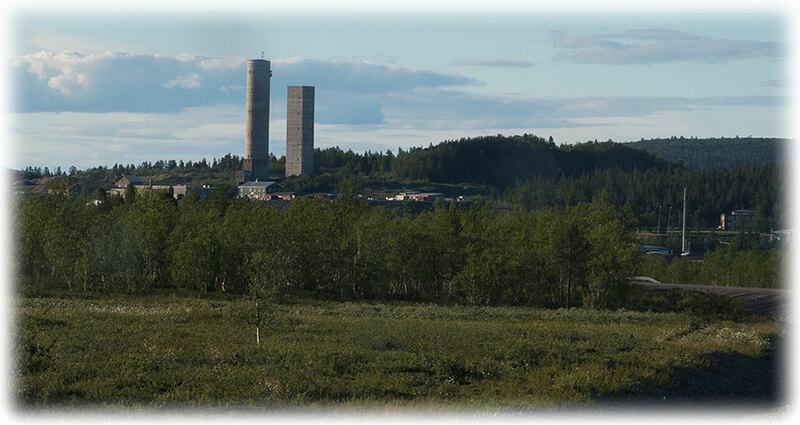 Malmberget is known as a major site for the extraction of iron ore from deep mines by the company LKAB. 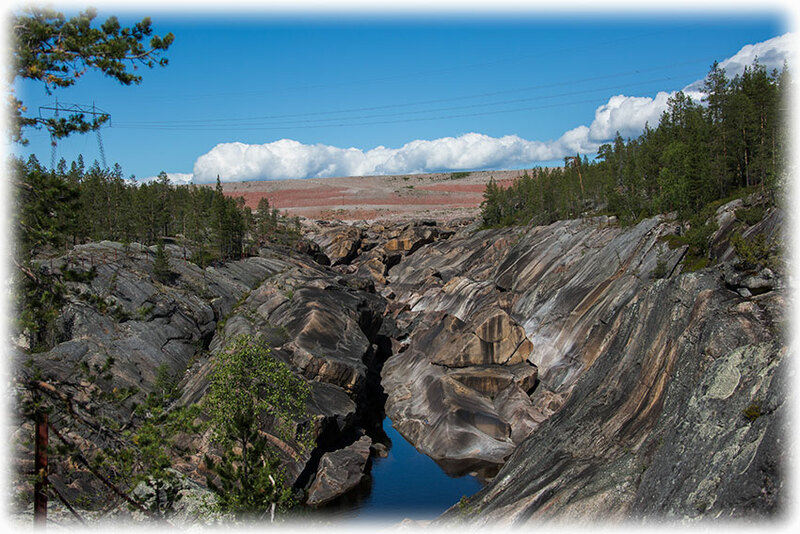 The iron ore mining started in 1741 at the Illuvaara Mountain, later known as Gellivare malmberg and eventually just Malmberget. The first train which transported iron ore was loaded in 1888 - this was the beginning of the great iron ore rush which would change the entire area of Northern Lapland. In Malmberget there were lots of job opportunities but no dwellings - a striking resemblance to the conditions during some of the gold rushes in North America. During the first years, workers lived in shacks built from wasted dynamite crates. 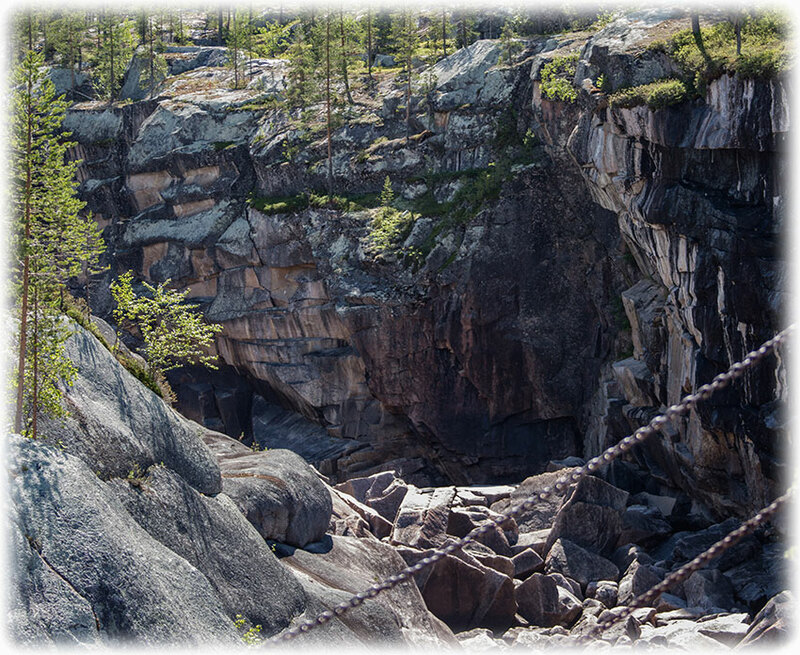 Right down the centre of Malmberget, the deep mine has reached daylight and thus created a huge hole called Kaptensgropen ("The Captain's Pit"). 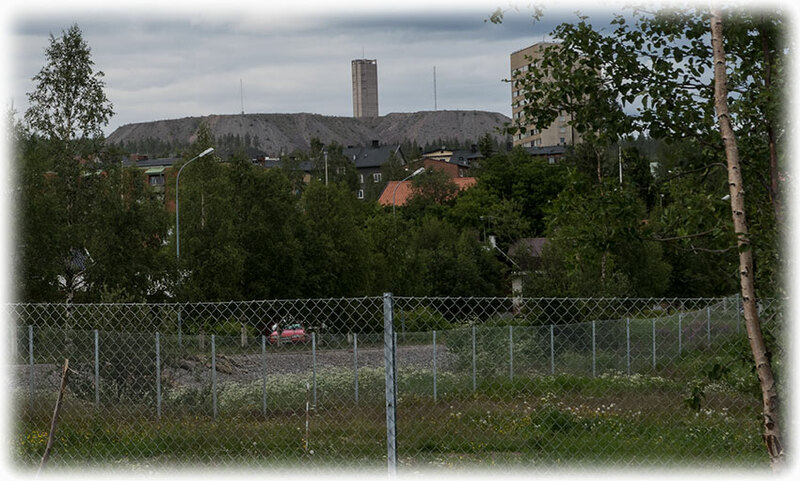 In March 2012, Gropen was joined with a new pit resulting from the 'Fabian'-deposit caving in as planned, and has grown southwards as the deep mining continues, and thus divided the town while making the old town centre uninhabitable and forcing many institutions (e.g. the two existing cinemas and the church) to move to the western part of Malmberget or, even more commonly, to the neighbouring town of Gällivare. Today Gropen is being filled up with stone which is dug up as a by-product from the underground mines. 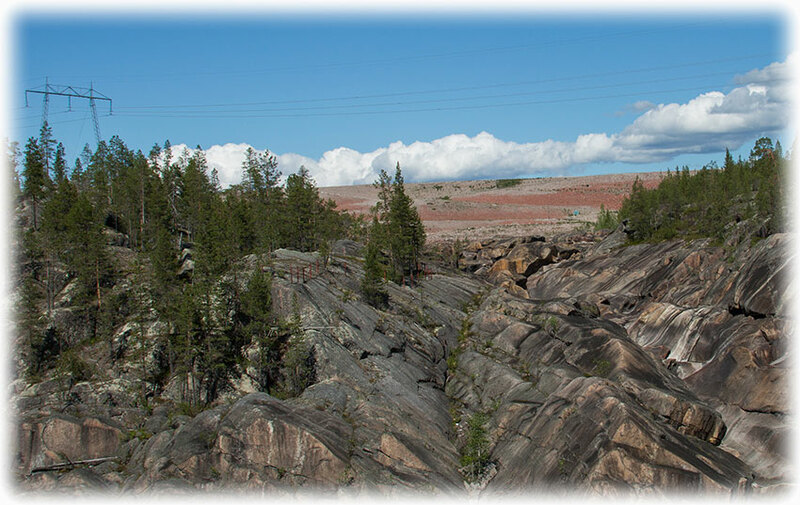 Gropen will eventually be filled in, but the uninhabitable area is continually growing as underground mining undermines the area and seismic events caused by the mining regularly shake the remaining parts of Malmberget. 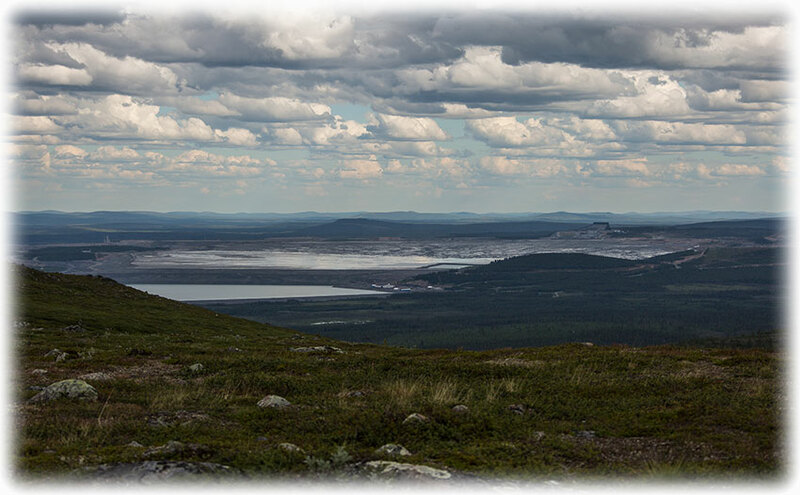 The future of Malmberget is currently uncertain, but prospecting by LKAB indicates that even more of Malmberget may have to move in the future. 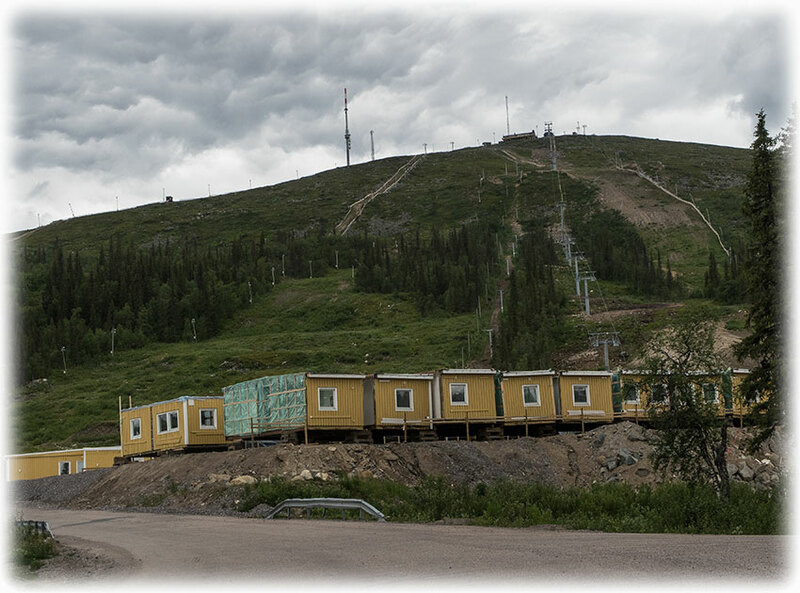 The moving of several large residential houses owned by the mining company, as well as private villas, has been a major issue locally for the past few years. The iron ore extracted from Malmberget is mainly transported by rail southeast to the port of Luleå. 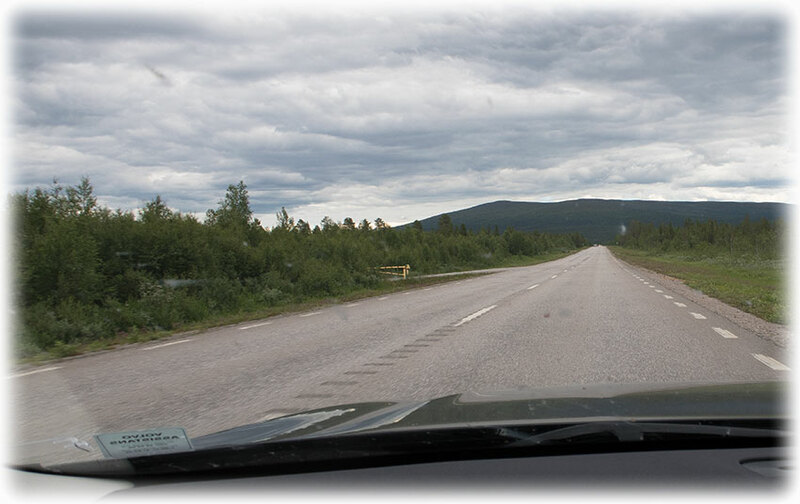 Of course, I want to see Malmberget before continuing to Kiruna. 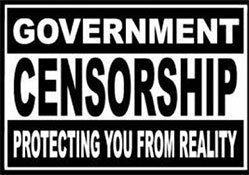 But there was nothing to see. I could see the mining house. I think the house, or tower is a famous landmark. 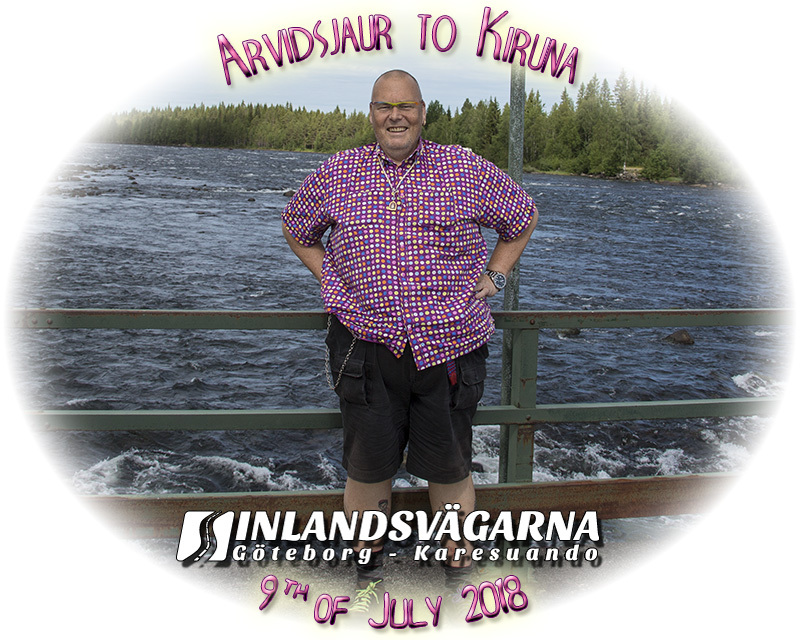 I got a picture and I continued to Kiruna. 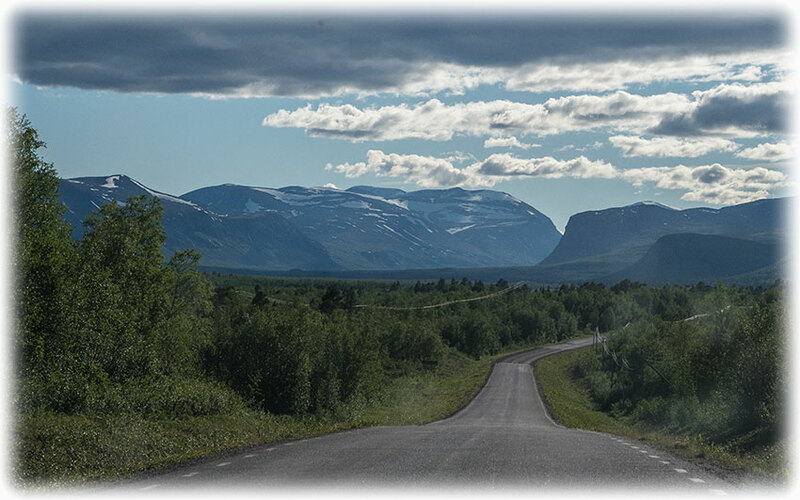 I had made a plan, I will go to see Kebnekaise tonight and I can spend the day at Abisko National Park tomorrow before driving to Finland. So I was making good speed leaving Malmberget behind. 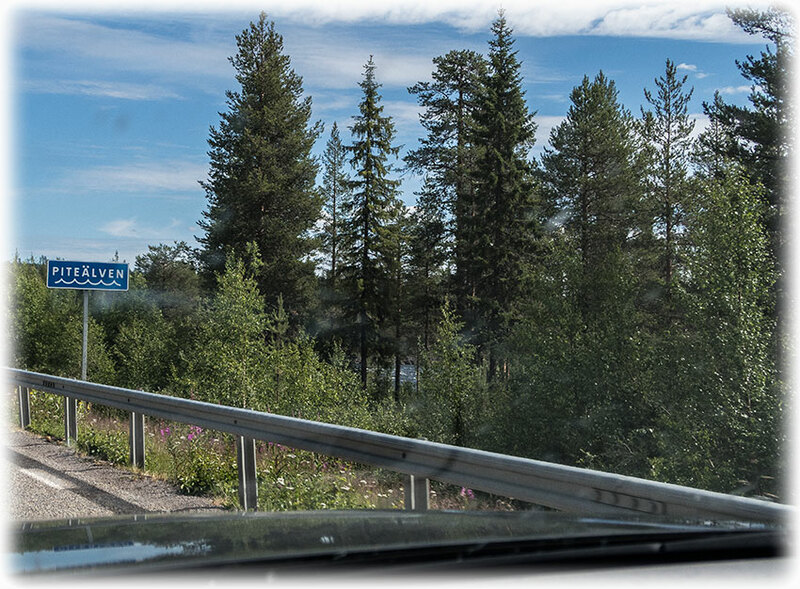 Approaching Kiruna and I left the road to have a look for some birds, nothing and I continued to Hotel Arctic Eden. Thanks to the GPS in the car it was no problem to find the hotel. 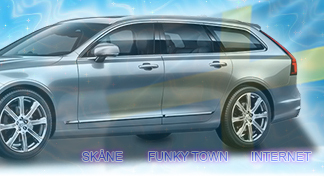 I check in at Hotel Arctic Eden and I ask for directions to go see Kebnekaise. 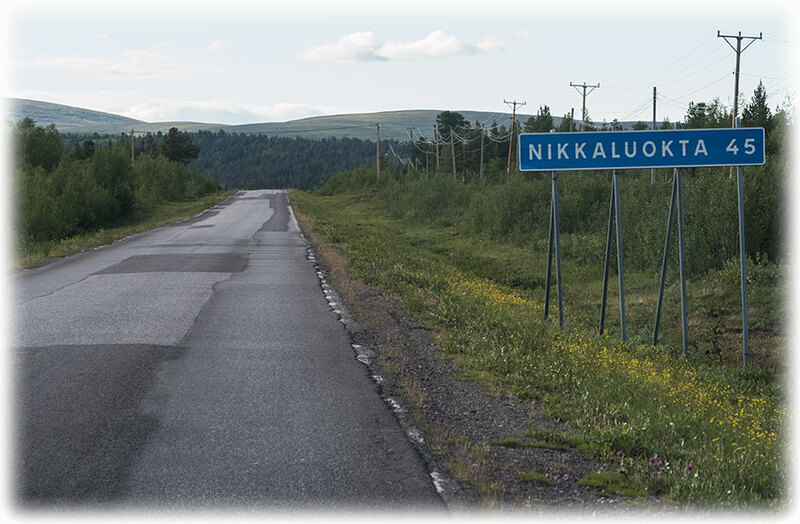 I had checked on the internet during my planning and I had to go to Nikkaluokta. I have not planned to go to see the mountain. 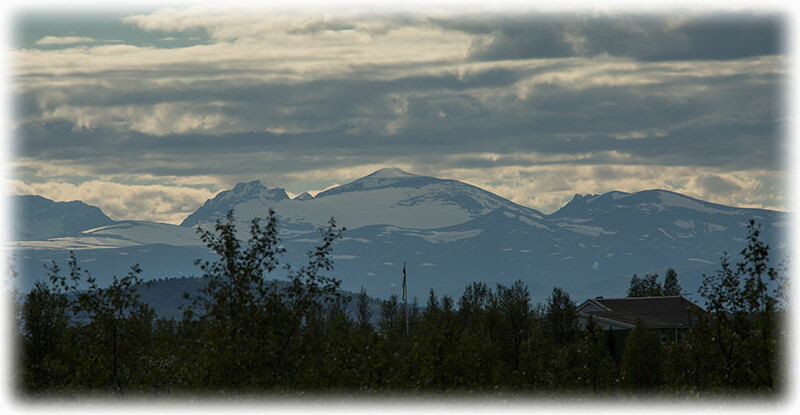 But the girl told me that Kebnekaise was covered by other mountains when in Nikkaluokta. 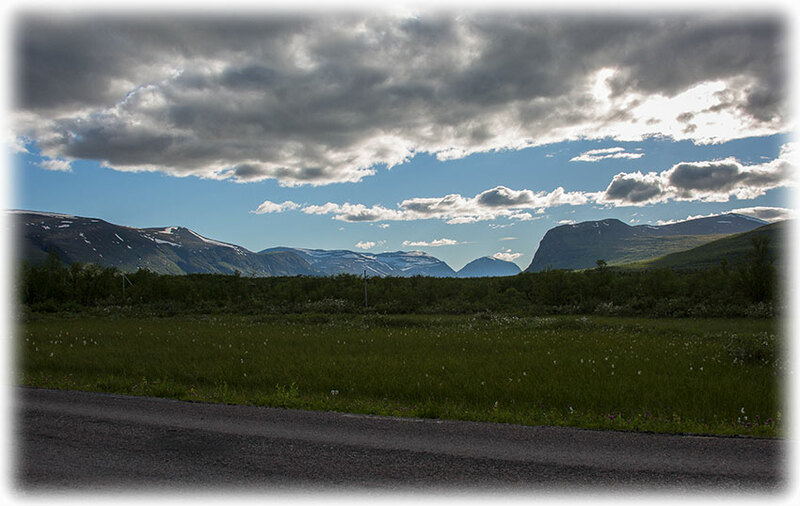 But I could see Kebnekaise from the road going to Nikkaluokta when in clear weather. 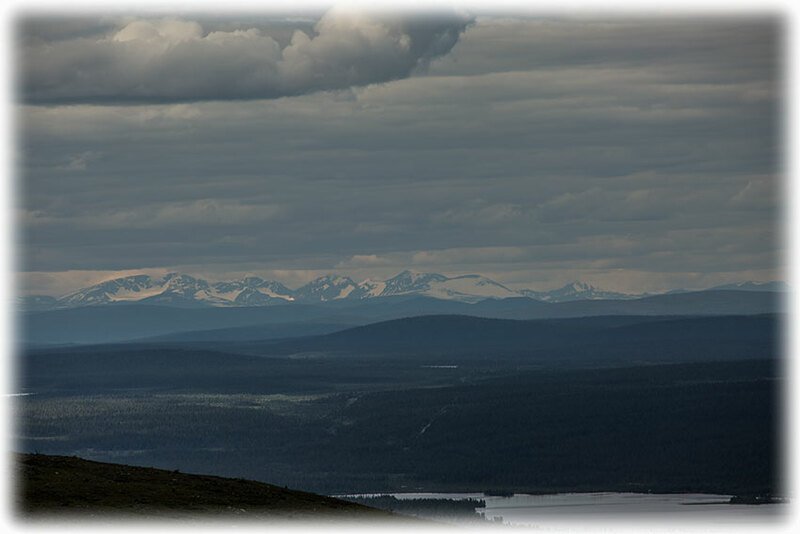 It was overcast, but it was clear and I was soon in the car on my way to Nikkaluokta to see if I could see Kebnekaise. Then I don't have to come back here tomorrow. 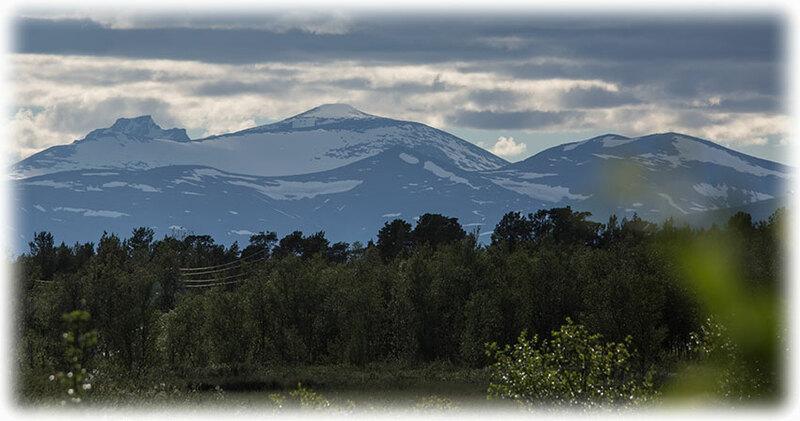 (Swedish pronunciation: [ˈkɛbnəˈkaisə]; from Sami Giebmegáisi or Giebnegáisi, "Cauldron Crest") is the highest mountain in Sweden. 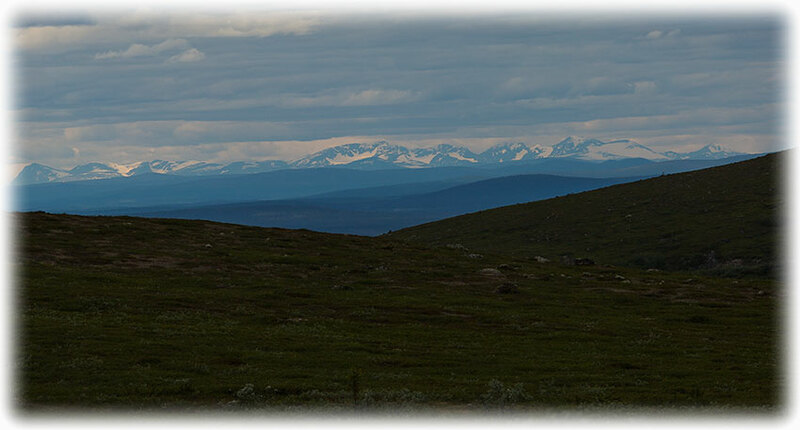 The Kebnekaise massif, which is part of the Scandinavian Mountains, has two main peaks, of which the southern, glaciated one is highest at 2,097.5 metres above sea level as of August 2014. The northern peak is 2,096.8 metres and free of ice. 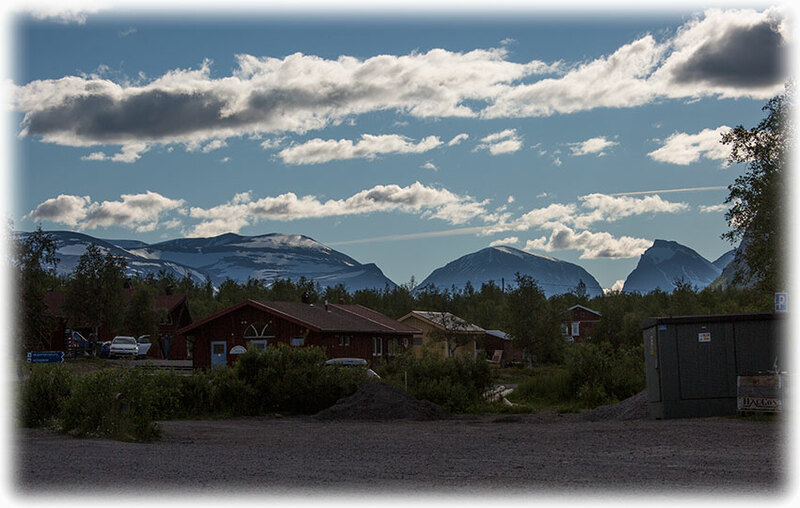 Kebnekaise lies in Sapmi, about 150 kilometres north of the Arctic Circle and west of Kiruna near the Kungsleden hiking trail between Abisko and Hemavan. 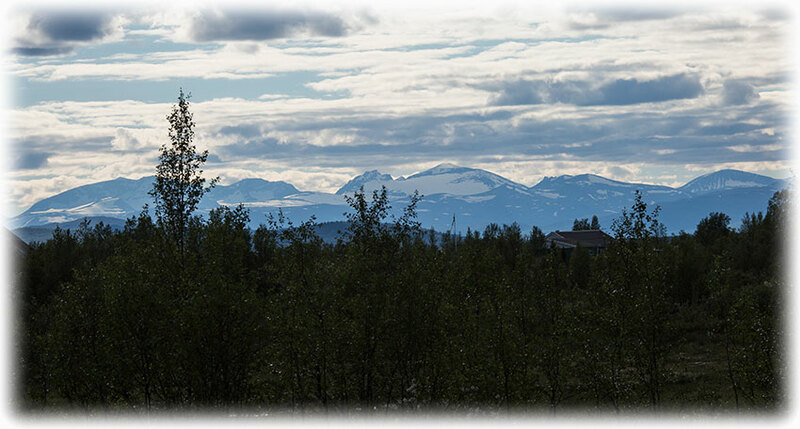 Nikkaluokta is a Swedish Sami village in Norrbotten County. 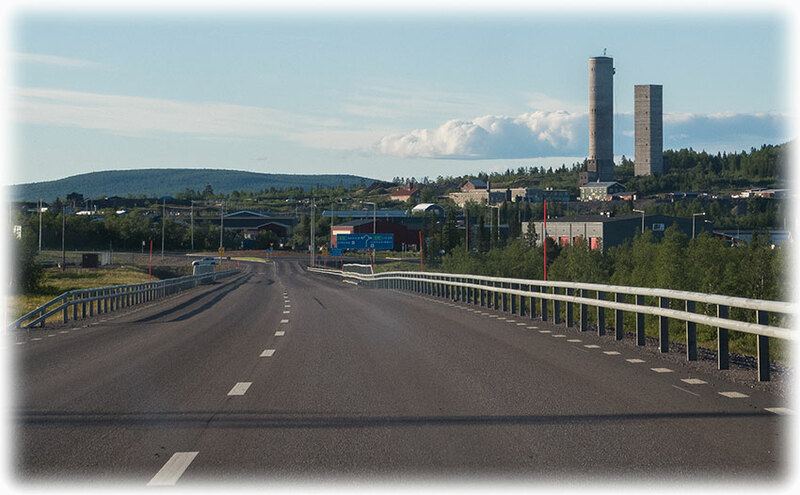 The village belongs to Gällivare Municipality, bordering Kiruna Municipality, the closest urban area some 60 kilometers away. 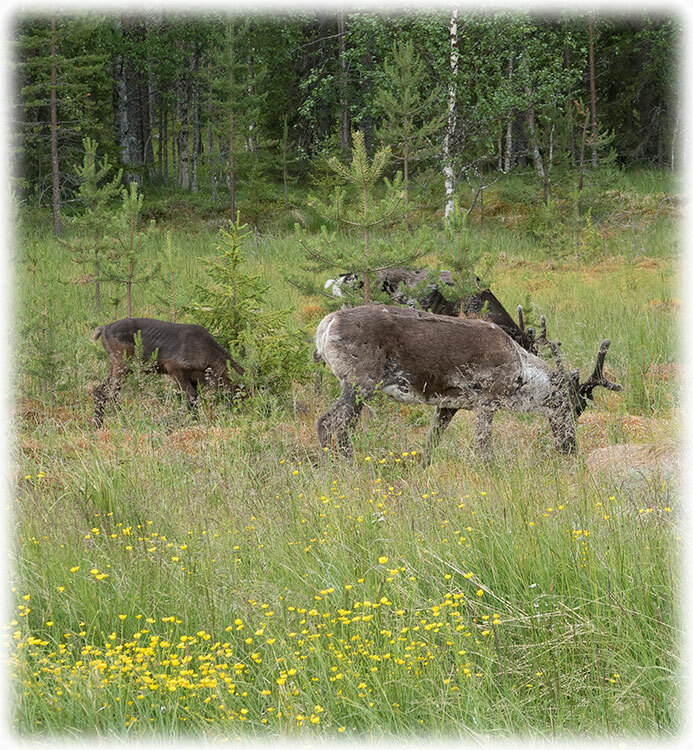 In its vicinity lie the areas of two Sami communities, Laevas and Girjas, who still herd semi-domesticated reindeer in the region. 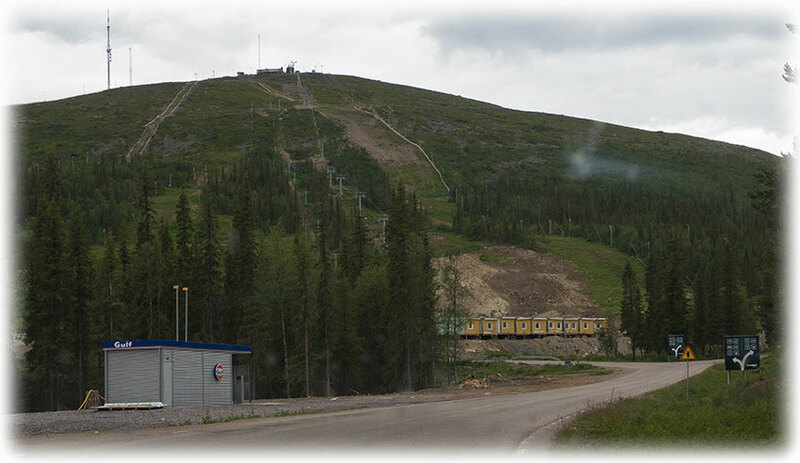 Nikkaluokta has a mountain lodge, complete with a small grocery store and restaurant, a chapel, and, during the summer months, a commercial helicopter base. 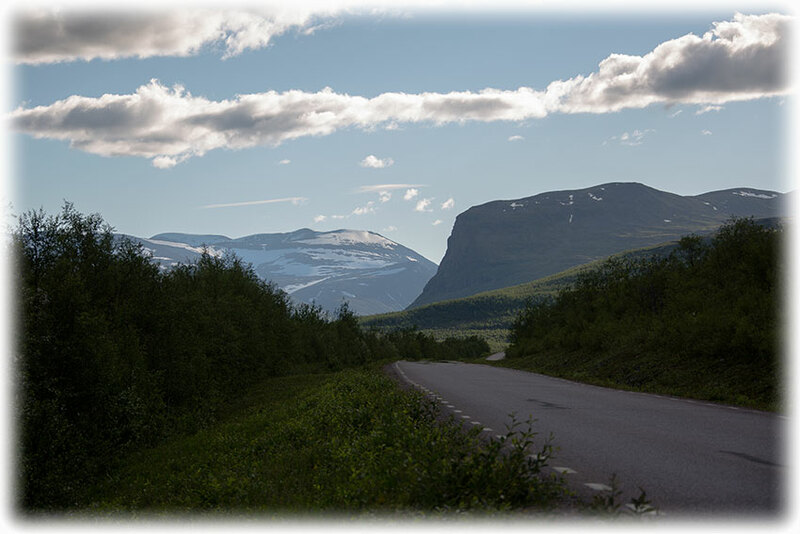 It is a popular starting point for several hiking and skiing trails in the Kebnekaise area, including the notable Kungsleden. 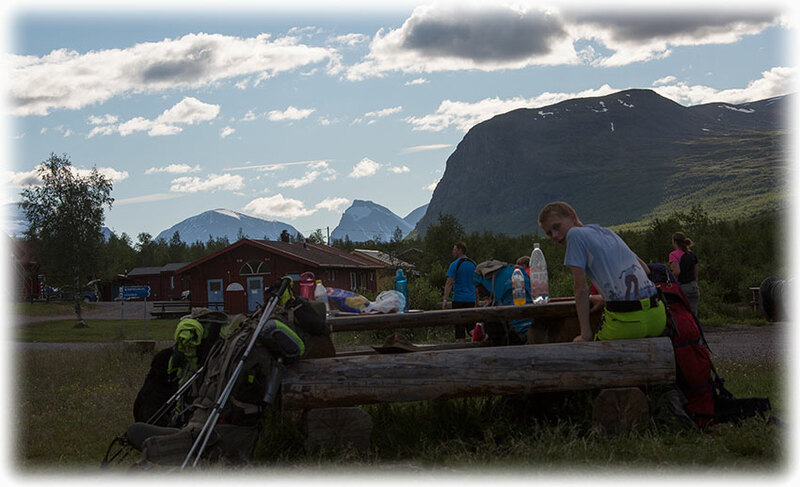 On foot, it takes around five hours to travel the 19 kilometer distance between the two mountain lodges in Nikkaluokta and Kebnekaise. 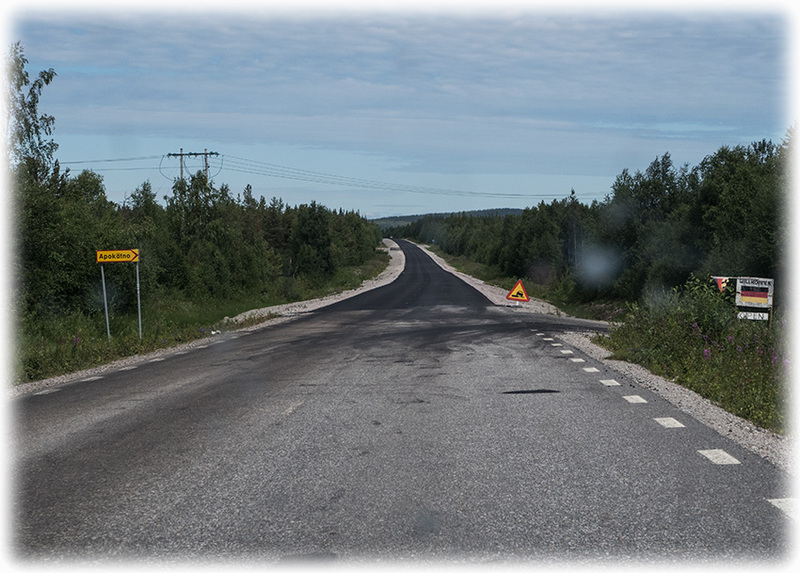 Nikkaluokta is sited in the centre of three valleys, where the tarmac road from Kiruna Municipality ends. 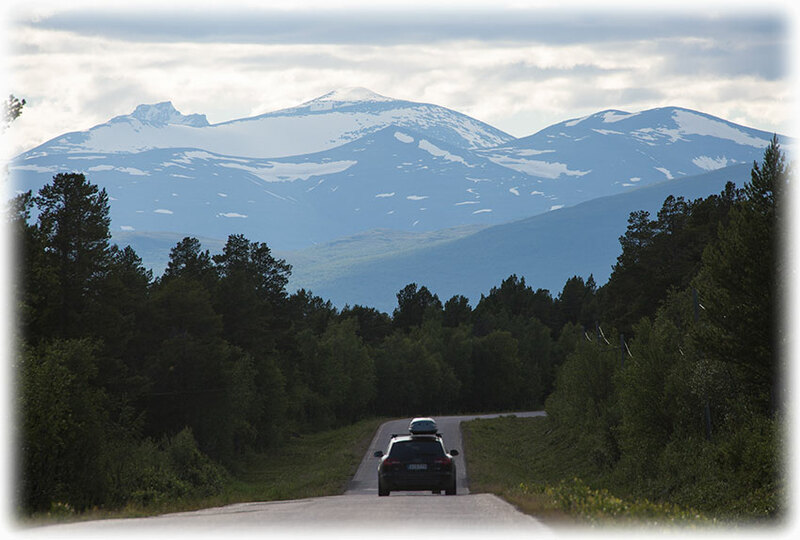 To travel farther, trails and mountain paths of varying size and condition has to be used. 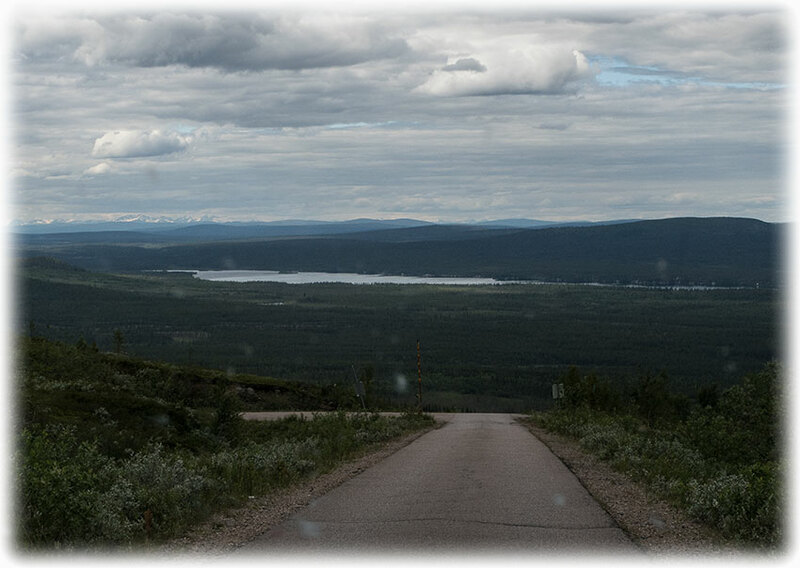 Nikkaluokta Bay in Lake Ladtjojaure is also the starting point for the water route into scenic Vistas Valley. 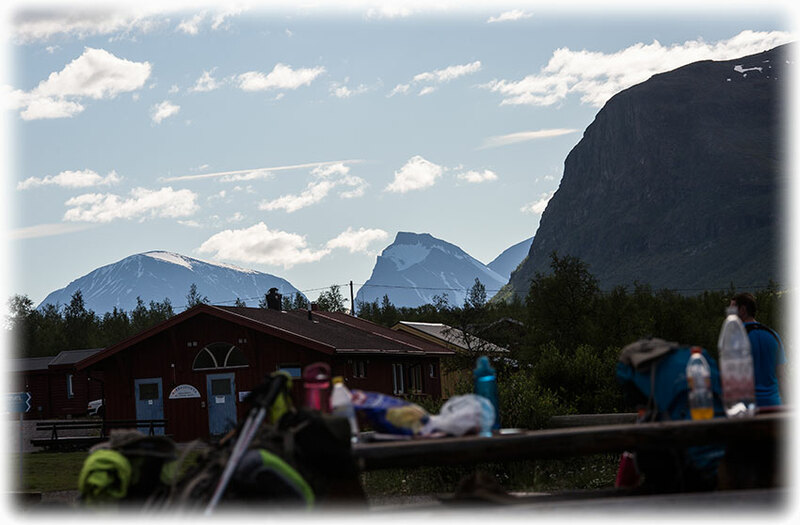 I arrive to Nikkaluokta, the trekking centre if you want to get out in the Swedish wilderness. And here was people, not one single parking place was found so I could not park. 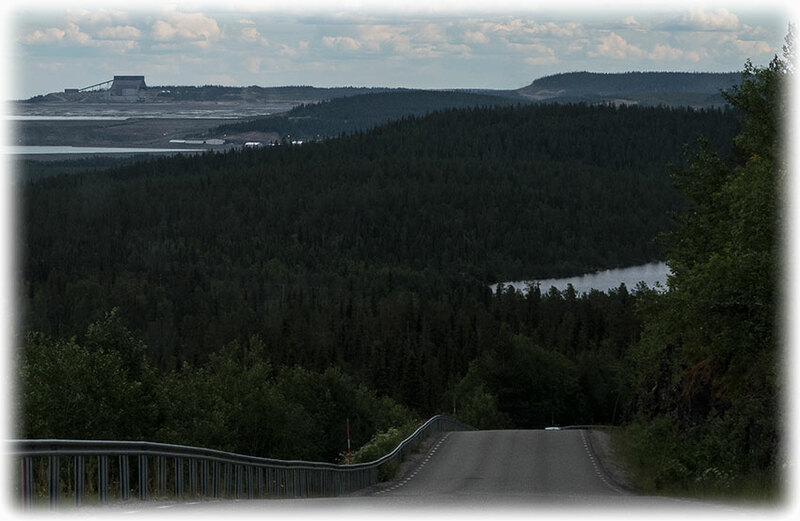 I drove around having a few pictures and ten I returned to Kiruna. 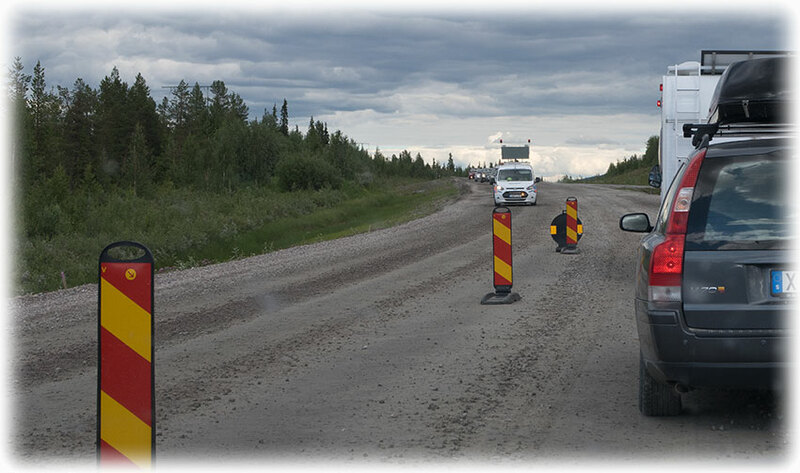 Leaving Nikkaluokta behind and I had been on my way for 100 meters when I see a guy next to the road. He was taking pictures and he had just parked next to the road. Yeah, why not? So I did the same. I walked back and I was looking for waders as I had seen one taking off. Needless to say, I had no luck with the birds and yet again I had to get back in to the car without any bird pictures. 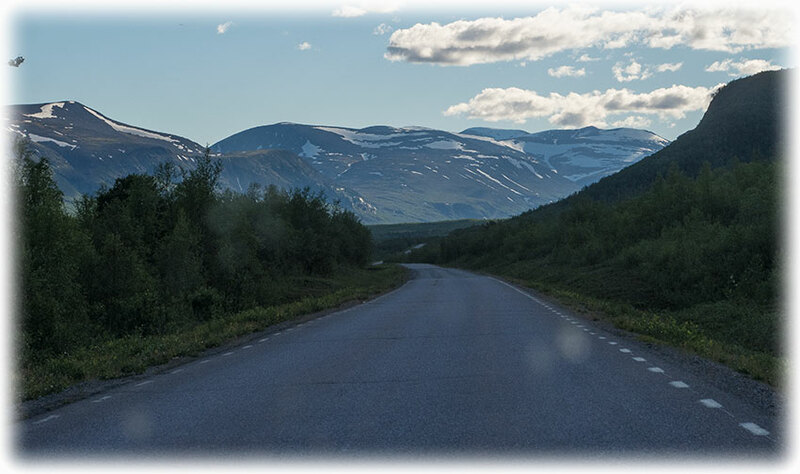 But it had been a beautiful scenery and I was in a very good mood driving back to Best Western Hotel Arctic Eden in Kiruna. I had my dinner at the hotel when I was back and the food was good, but darn! The service was slow. One waitress and she was also attending the reception etc. I was in bed at 11 and my alarm was set to go off at 4 o'clock. 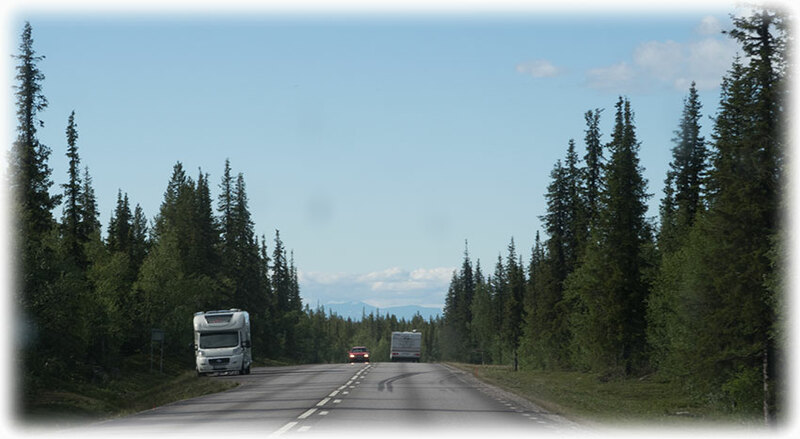 I will drive to Abisko National Park after breakfast for some bird watching and then I will drive to Finland. 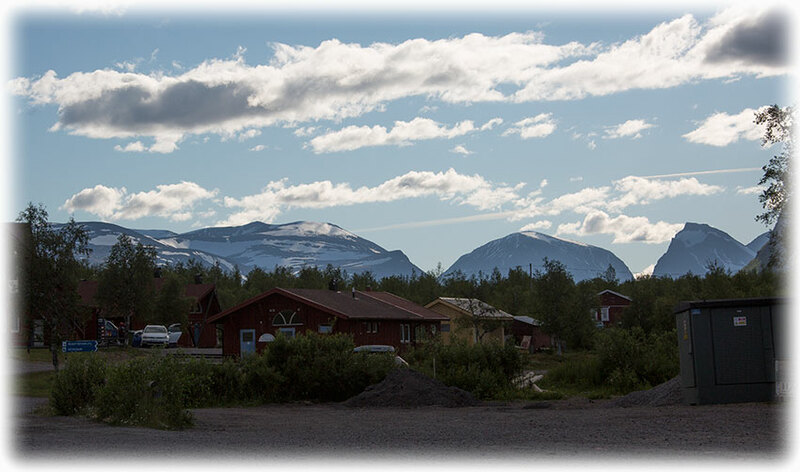 Click HERE to find out if I found something in Abisko.